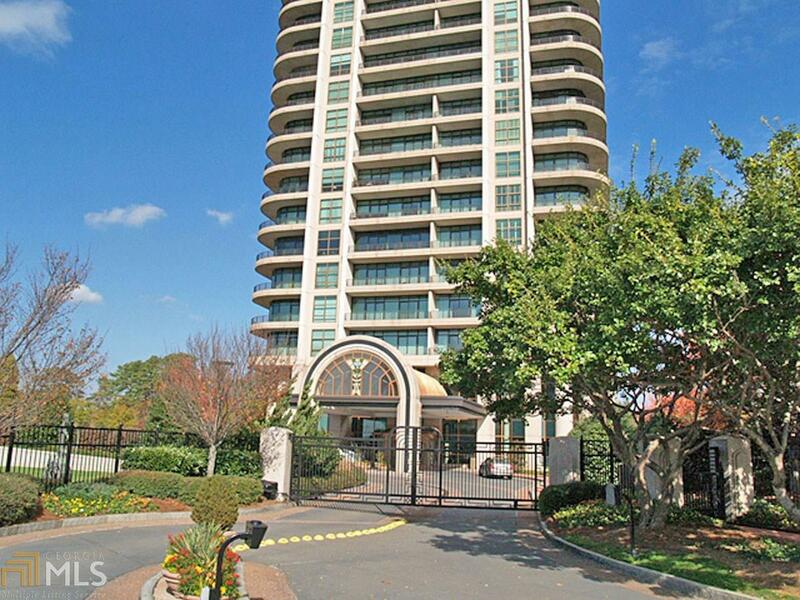 Enjoy incredible Buckhead and Downtown views. Spacious and open floor plan offers neutral stone flooring throughout main living areas. Floor to ceiling windows all have neutral window treatments already in place. Both baths are neutral and entire unit has just been painted and new carpet has gone in bedrooms. 2 parking spaces, private address elevator, services and amenities galore. Building does not allow lockbox, please call for appt.